These grow in somewhere Carmel Highlands. 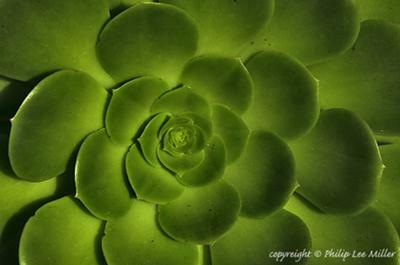 They are giant solitary yellow-green succulents with shallow bowl shaped appearance and almost no stalk. I don't know if these are hybrids or rare imported variety. I have only seen them in one place. If you're in a warm climate, like southern California, these will survive outdoors in the ground. If it freezes, or even gets close to freezing, these will do best in a pot, and get taken indoors to overwinter. The size of the pot will determine the size of the plant to a certain extent - the more room for the roots, the bigger the plant. know if I should put it in the ground or a larger pot. Any ideas? One further comment. These may be Aeonium pseudotabuliforme and not Aeonium Canariense. They are so similar. Thank you for the comments. There seems to be great variation even in the Aeonium genus. The one that seem to fit is Aeonium canariense -- much as you suggested. These succulents are up to 14" in diameter, with virtually no stalk and a shallow bowl shape. They are stunning succulents. Although not especially rare, these gorgeous plants are imported. Aeonium are native to the Canary Islands, but the climate in California is perfect for them, and they do very well where you are. You can find out more about them and their growing preferences on the Aeonium page, or go to Dave's Garden Aeonium tabulaeformae for more information on a similar species. See also the Dave's Garden Overview of Aeonium.